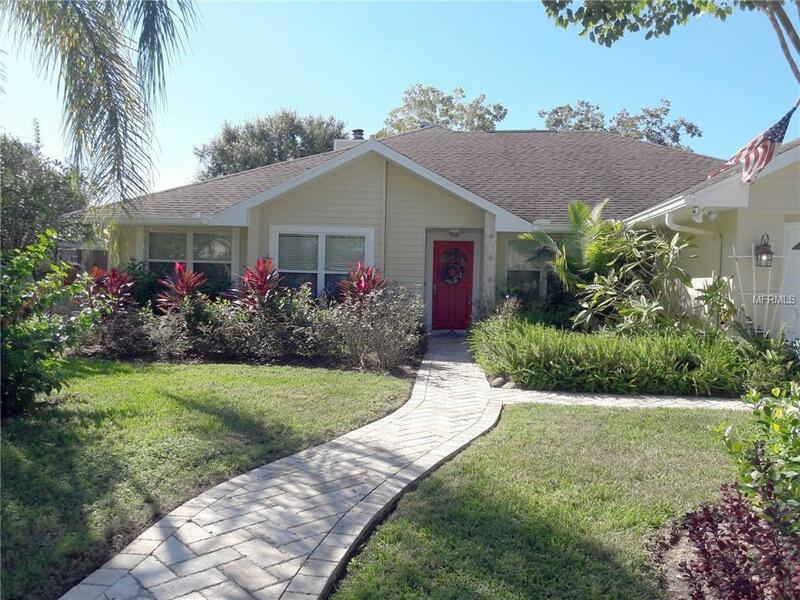 Back on the Market, Carrollwood Area, A Beautiful home with lots of upgrades and Lush landscaping and brick walkway features 4 large Bedrooms, 3 Bathrooms, Office and Bonus Room with 2,831 sq.ft.of living area. The upgraded kitchen has1" Granite countertops and backsplash and Built-in Desk. The Master Bath has Travertine Marble from floor to ceiling with a walk-in shower with built-in seat. The front Bathroom also has the Travertine Marble from floor to ceiling. The family room with a stone fireplace, A Huge Bonus Room with Lifetime Warranty Plank Floors, Screened Room and storage shed.